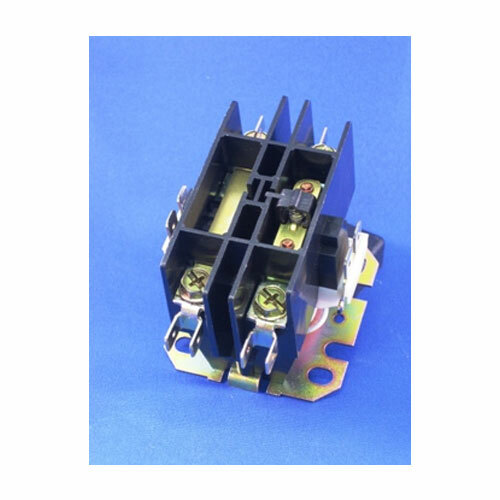 Single Pole, Single Throw, Normally Open power contactor (relay). For use when adding remote control (such as Applied Wireless RCR303C-3R Series Remote Control Receiver) to switch a device’s AC power line On and Off. Switching contacts rated at 25 Amps. 24VAC coil (requires appropriate power transformer, such as Applied Wireless 610300). Open frame (rated for indoor use).